I’m back in the kitchen! Yay! 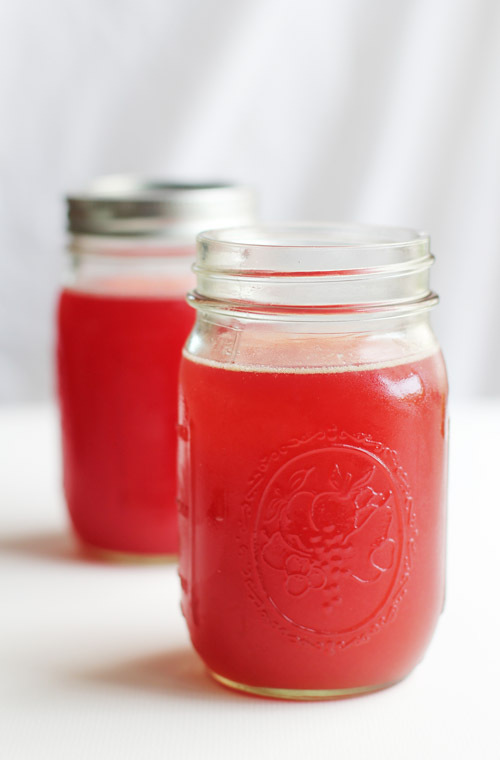 Today I have a fun seasonal recipe for you – rhubarb simple syrup! 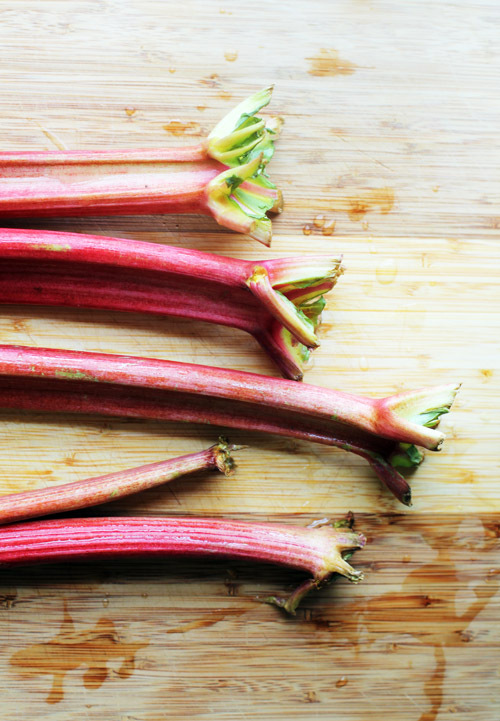 Whether or not you like rhubarb you’ll like this syrup. 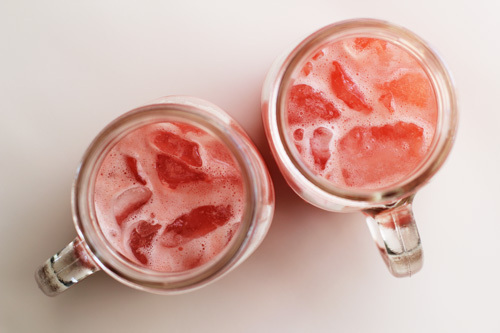 With all the sugar involved it is anything but tart, and it adds a nice, subtle flavor twist to lemonades, punches, cocktails and more. 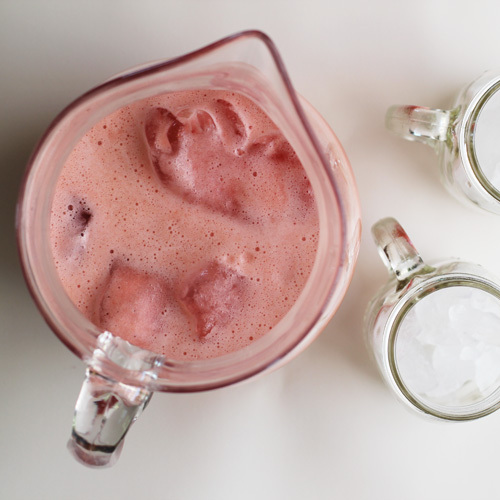 You could even just drizzle a bit over ice cream or plain yogurt! 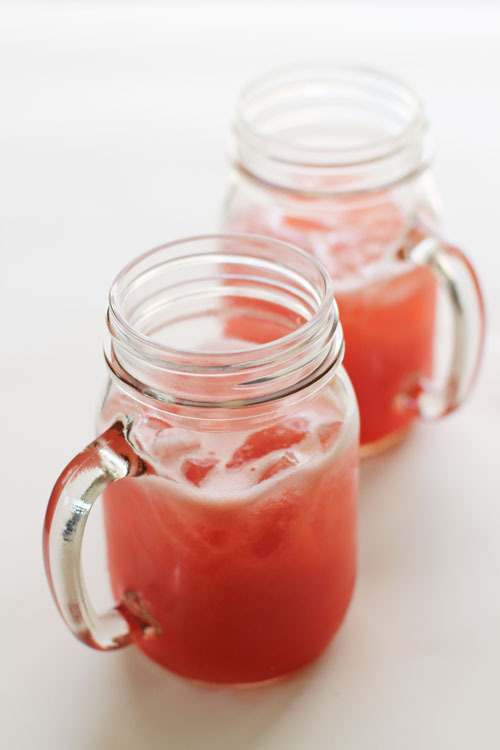 Perfect for flavoring drinks of all kinds! 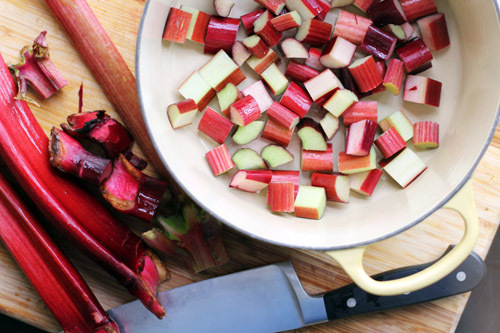 Combine sugar, water and rhubarb in a medium pot. Bring to a boil over high heat. 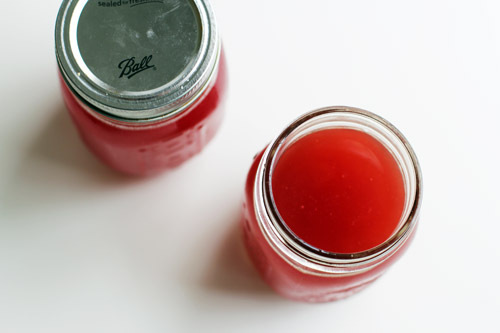 Reduce heat to medium-low and simmer mixture for 25 minutes. Strain mixture though a fine mesh sieve. Store in the refrigerator. Makes a little more than 1 cup of syrup.